I would like, once again, to point out several things. While flying today LSZH-LICJ-LSZH, once again, the Weather radar, nor the Terrain Radar was working. As I was approach Zürich, I could encounter clouds and severe turbulences on Active Sky's Map, but my ND still kept playing dead. WXR and TERR is simply dead for three days - I will expect it to work once again without any reason in some days and then disappearing once again. I can't reproduce it. I. Picture - Lining up in LICJ with high terrain and water ahead - no ND working. II. Picture - WXR was set to "WX+T" with -5° Tilt and PWS AUTO and SYS 1 on. Simply, dead, during the whole rotation. I am logging my flights on smartCARS for Swiss Virtual - and this is the prove that the sounds nor the "setup" of the engines is working correct. Also, while cutting the engines off, I dont experience any spool down. Its just like killing them. Its nearly immediaetly quite. When taxiing under CAVOK/ISA conditions while hitting 20kts Groundspeed (GS) I do encounter the really loud sound (like lowering the gear on approach). Is there any fix? This is the most subjective one - but let me try to explain what it feels like. First of all - while flying the aircraft, I do encounter a quite good Autotrim. Protections like low speed aural warnings, Alpha Floor etc. is sufficient for me. But, basically while landing and taking-off this bird, I feel like flying a bag of rice. What do I mean? When hitting VR and trying to rotate this aircraft, there are only two ways. Taking forever, or just punching the nose up. Both - and I was flying deadhead on the jump last week on an A320 in europe - was not what I did experience during this take-off. It could be steered really fine with small inputs, whereas my Airbus is flying really rough. 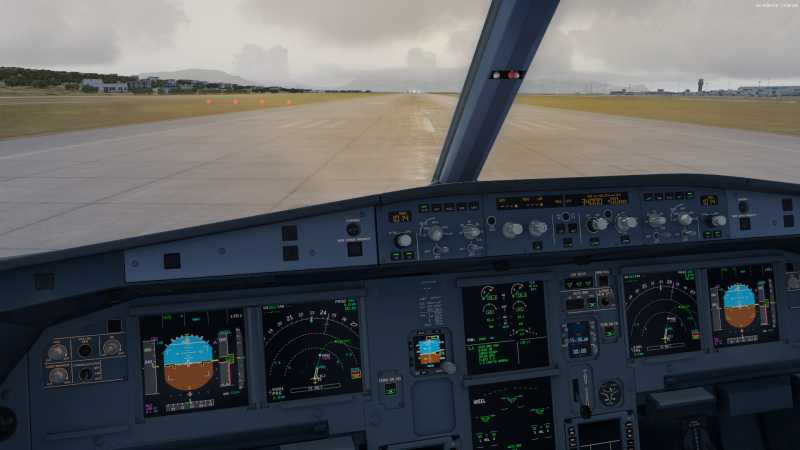 While landing, and having still problems to find any adjustment of my X52 Pro Flight System to have a normal acting Elevator, I am in a good situation not to deploy reverse thrust until my NLG is already on the ground. If I do not pull my stick to the back while touching down, my nose is just dropping like a dead elephant and quitting this with a loud "brrooummppf" while the NLG punches the runway. When applying reverse thrust, its even worse and not controlable. While discussing this topic internally on VATSIM Germany, three other colleagues with different set-ups agreed to this behaviour. While departing Düsseldorf (DUS) with a speed restriction of 210kts maximimum, which was of course previously assigned in the MCDU and recognised in the PFD, the Airbus remained in THR CLIMB Mode during the departure. I can reproduce this problem in Zürich (ZUE) without any problems - as nearly every departure requires a procedure turn directly after the acceleration altitude. So, while putting the thrust levers back into the "CL" notch as announced in the lefthand upper side of the PFD, the modus changes to THR Climb. Even when pulling the speed knob and selecting 210kts, the modus does not change and remains in THR Climb. Checking the same departure on a - lets say - similar aircraft from another developer, this behaviour was not encountered. When hitting SHIFT+4 to open the Options MCDU, I have to assign prior to every flight VATSIM Weather. Why does this aircraft does not save this option? Finally, last but not least, the product looks beautiful, yes. It is really nice that those Cargo Door bounce, when they are finally opened, but those items which are stated above are really killing the mood for this plane. It is beautiful to look at, I do really feel like home in the cockpit and with those sounds. The performance is good, it is working outstanding good with GSX (for example the fueling system, well done!) - but, to he honest, I feel like a beta tester. I have de-assigned all my Virus Detectors for Airbus, Aerosoft, Activesky...and so on, but I do simply encounter all those problems above. To keep with a positive vibe - picture three shows a beautiful departure from Palermo. I would really like to see those pictures in the future. I know that there is anotother product, way more expensive, and maybe way ahead. But those items above are simply an evidence of a good beta-product, like Players Unknown Battlegrounds still is (sorry, sidekick). So, to be honest, could you give us an overview of the major findings / bugs + respons to those critics and a target, when those bugs are beeing fixed? For me, the aircraft ist currently not ready for operations, to be honest. Don't get me wrong and I would really like to keep it objective - therefore those attached picture which show obvious bugs. So, lets remain with this small words - looking forward for a feedback from your side, and I am also looking forward to help in anyway to improve your product, because I am putting all my hopes on the A330. EDIT: One more point. The managed decend mode is a mess. Descend rates around 5000-7000fpm experienced several times, therefore I am doing them now only in selected modes (last picture). I will try out, if I really missed the adjustment. However, sadly, the remaining bugs are existent, arent they? What aircraft/engine were you using and are you fully updated? And have checked these issues in our forums, many have been discussed many times. the engines are the CFM models with A320 and A321, both of them show the same behaviour. The Update is performed to the latest version, which is shown as Version 1.2.1.3. The managed decend mode is a mess. Descend rates around 5000-7000fpm experienced several times, therefore I am doing them now only in selected modes (last picture). Does this happen a lot? Can you provide a specific route where the bus shows this behaviour consistently, preferably with weights, weather etc. you are using? As the vertical calculation is highly complex and is depending on many variables one needs as many details on the flight in order to replicate this. I will try to log the upcoming flights and not choose the selected mode to reproduce this behaviour. I've to agree on almost every single point. 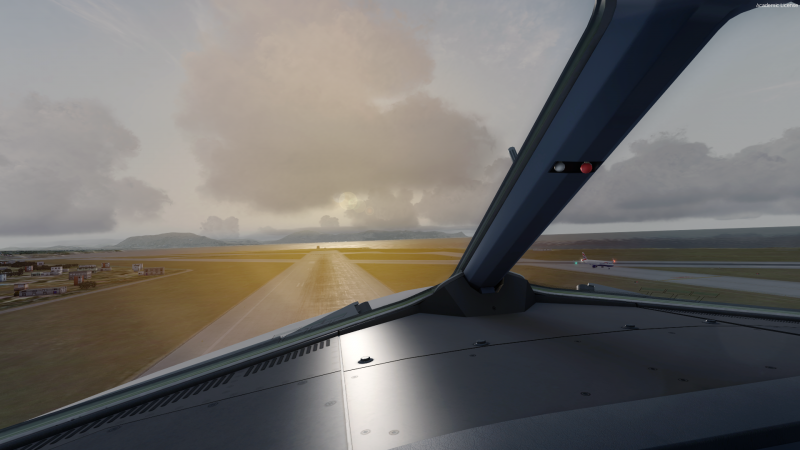 Flying a 'Raketenjager' at most of my flights, so SEL is the way to go. I'm tiered from reading the long list of bugs and the growing list of excuses. For me, this product is in early beta state. What you describe is normal behaviour. THR CLB is the most corresponding to CLB mode. The Airbus will pitch for speed in CLB and thus THR CLB is still the thrust mode since it will keep climbing with full thrust, regardless of what the speed is as long as you are in CLB or OP CLB. The pitch is then adjusted to keep the desired speed. That's how this mode is designed to work. Imagine it like LVL CHG in your favorite Boeing. Only in VS or FPA modes during climb the A/THR will engage in SPEED mode, adjusting thrust to maintain the speed. The big difference between real life and simulation is force feedback. The real A320 has a very high resistance on the side stick and even the smallest input will make quite a difference. In return this means that if you have a joystick with a low resistance then the Airbus will feel very easy to oversteer. This is nothing we can really change, you simply have to be careful with the controls. When connected to a stick with a realistic force the Airbus will be very easy and precise to fly. Just as the real one. While the picture seems to be missing (pic 1, 2 and 4 are identical and show your departure from Palermo) it seems like you might have a misunderstanding of what the WXR should indicate. Assuming you mean the same departure from your screenshots above, it does not look like anything should be shown on the WXR then. A WXR shows precipitation, not clouds. And it does not look like you had any precip there. Setting the tilt to -5 while in WX+T mode will not give you any good indication as the beam is just pointing down and there is not a lot to be shown there. In case you tried to see some terrain returns (which is the only reason I can imagine you to turn the tilt down during departure), this will only work if you made the according switching on the WXR panel. Which from your description you did not seem to do. And obviously you need to have the brightness of the overlay turned up, just like Tom described you for the terrain already. I observed a very strong pitch down signal and an agressive descending if you push the ALT button when the message "decelerate" is in view on you PFD. I pushed the ALT button some miles before the TOD point (decel) and everything go much more smoother. Gents, all of these topics are being discussed in the correct sections. I suggest to follow up there and not make this a mixed topic with some bugs, some misunderstandings of real systems etc. Four downvotes? This is ridiculous. sorry for my late reply but unfortunately I was trying to finish at least one longer flight with the above mentioned product - however, it does not seem to be possible without any Crash-to-Desktop for a flight lasting longer than 2 hours. Picture I - Cockpit Picture of my a/c descending before the UNOKO 07N Transition in Frankfurt. I did select a certain waypoint before UNOKO already minutes beforehand with a maximum Flightlevel of FL230 to pass at this waypoint. 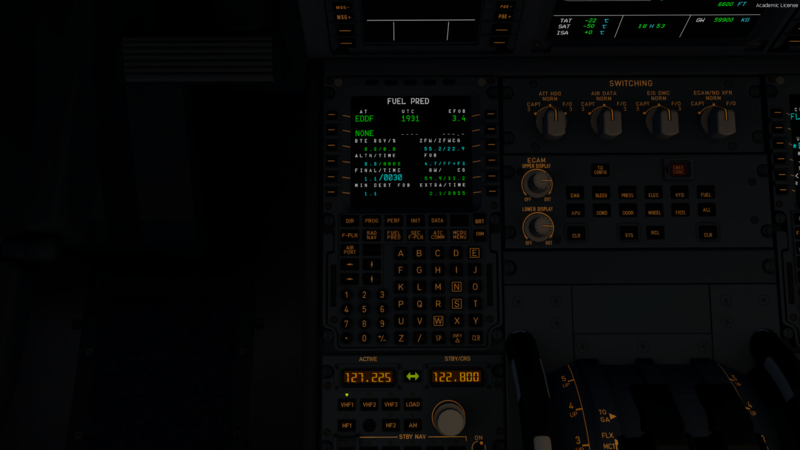 However, a TOD was shown on the ND and I did push the ALT Selector to 23000 while cruising at FL340. You can see what he is doing in managed mode. 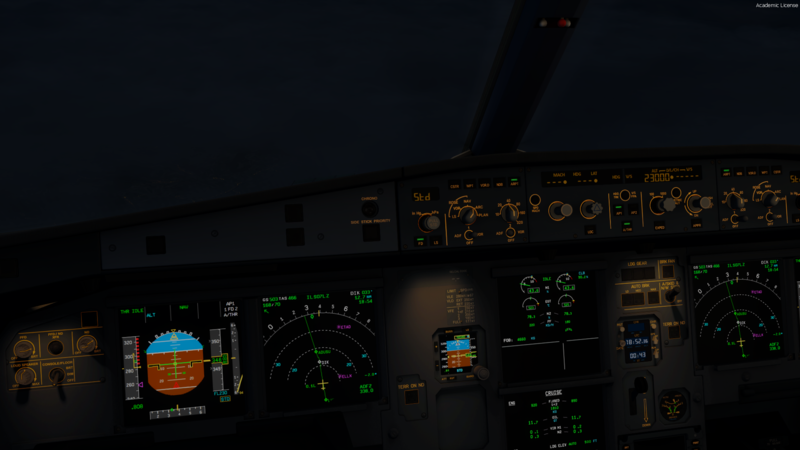 At this time, passing a descend rate of 9400 fpm I had to disengage the A/P. he big difference between real life and simulation is force feedback. The real A320 has a very high resistance on the side stick and even the smallest input will make quite a difference. Emanuel, thanks for your description. 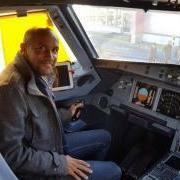 I know how the Joystick in the A320FAM/330/340 feels in Reallife. So, basically you are telling me, I should just be more careful, because I dont have a FF-Joystick, which nobody has? Beneath that I am really careful, having reduced the sensitivity nearly to zero and flying really calm with this bird, I still experience heavy nose up and down inputs. 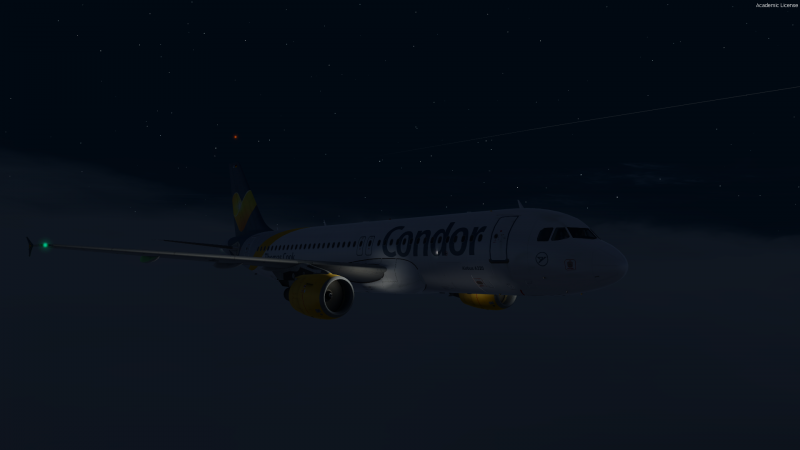 To say it clear, I was testing the other A320 product at a friend, and I can't reproduce this behaviour there. The same here, but without any effort, as you can see above. I do always push the ALT Selector 5-10nm before the TOD. The results can be seen above. As suggested let's pick these topic up in forum sections where we do support and where these issues are mostly already discussed.